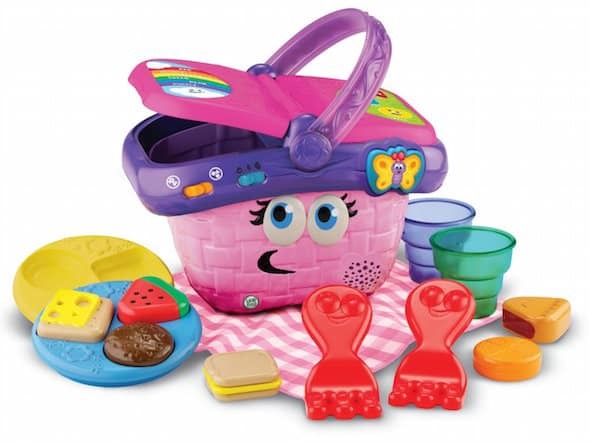 The LeapFrog Shapes and Sharing Picnic Basket is on sale for $12.39 at Amazon right now. That's 44% off the list price of $22! The price for this highly-rated learning toy rarely dips below $13, so this is an excellent opportunity to buy if you've been waiting for a low price! Even better, this 14-piece toy has excellent ratings: Over 750 customers give it an average of almost 5 perfect stars! Personally, I absolutely love this toy! Shipping is free with Amazon Prime or if you spend or more. Tomorrow is the last day to get FREE 2-day shipping in time for Christmas with Amazon Prime, so sign up for your 30-day 100% FREE trial and take advantage!